← Dużo szczęścia w Nowym Roku? Today we’re of course celebrating the Holy Name of Jesus, and the empty bottle of J. Oppmann Franken Cuvee 2004 lies there accidentally, for we strive to live according to the church year, which means that we celebrated the beginning of the new year already a month ago. 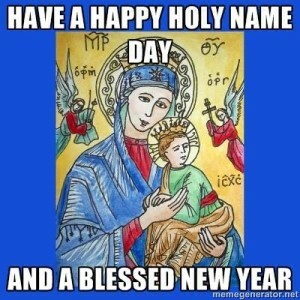 Thus also the Episcopal meme for the feast of the Name of the Holy Name and the New Year we consider – regardless of the primacy it gives to the church calendar – to be a dangerous concession in favor of the secular calendar. But seriously. The end of the old and the beginning of the new year, which cuts the 12 day observance of Christmas almost in half, is a sort of a false note. 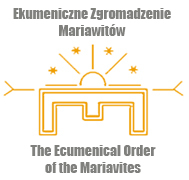 We are either convinced that the Incarnation of the Divine Logos announces something entirely new in the history of the world, or we concern ourselves with such irrelevant things as the “New Year.” To be honest, it’s of course the latter, to which the empty bottle clearly testifies (by the way, if the manufacturer would like to reward us for the advertisement, they can you the email address we gave on the blog). Hear this prayer for your love’s sake. The first thing that came to our mind after we heard the prayer was that it greatly suits the mood of the New Year – the time we wish each other that our wishes come true. In light of such a dangerous wish like that (let’s imagine all of them really did come true!) 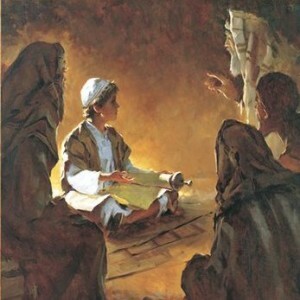 we can see how much we need a kind of humility and distance to what we believe is right, and how important it is to let this Jewish boy question not only the Scribes in the Jerusalem temple but in the first place us. Is this what you really want? Is this what your happiness really depends on? This entry was posted in English entries and tagged Christmas, feast, reflections. Bookmark the permalink.